BEALE AFB, Calif. --- The 12th Aircraft Maintenance Unit is responsible for keeping the RQ-4 Global Hawks here ready to fly. The RQ-4 is a remotely piloted aircraft, which is used to provide high-altitude intelligence, surveillance, and reconnaissance to commanders in wartime and contingency operations. 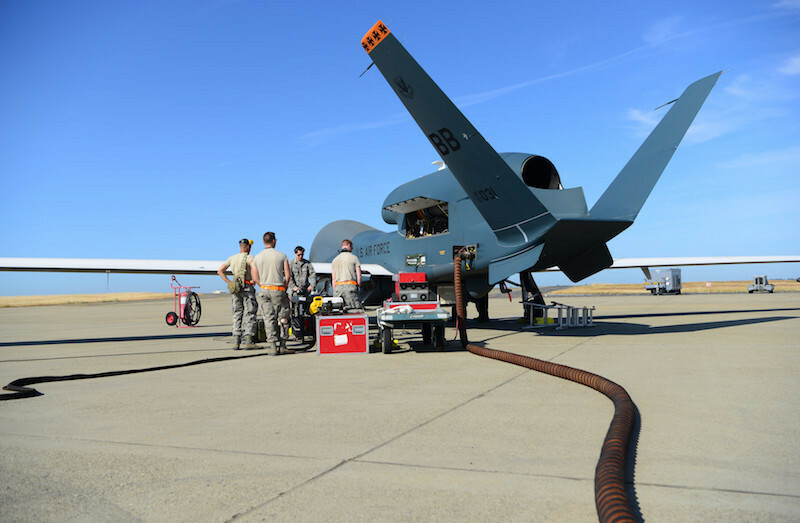 The RQ-4 platform has amassed more than 200,000 flight hours and is currently used to support Operation Inherent Resolve.